In 2014, Barwin led the NFC with 14 and-a-half sacks, but his impact on Philadelphia has been much greater than that. With the creation of the Make The World Better Foundation, Barwin focuses on engaging the community he lives in. Tonight find out how. Tonight see the world premiere of “NFL Films Presents: The Street Eagle” Tuesday, October 6that 7:30PM/ET on Fox Sports 1. 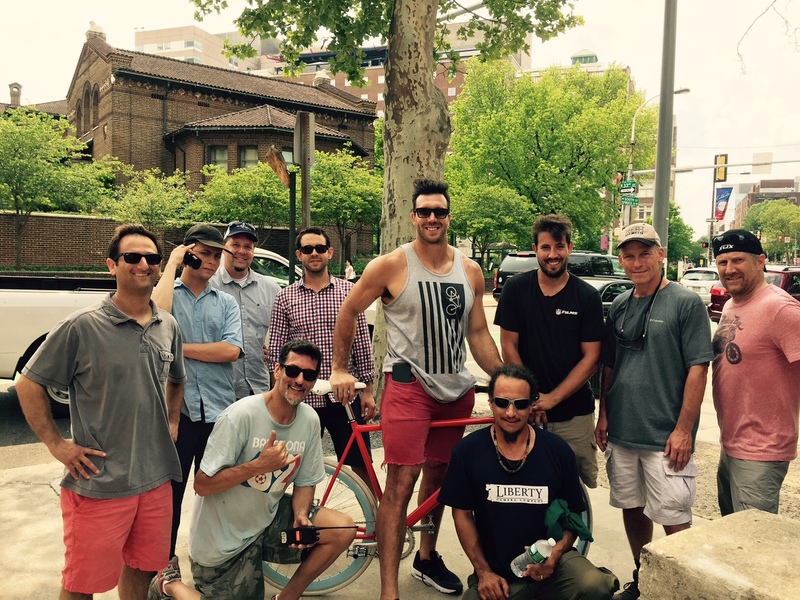 Connor Barwin (center) with the crew including director Keith Cossrow (far left). Connor Barwin chats with Kam Franklin of The Suffers prior to this summer’s MTWB benefit concert at Philadelphia’s Union Transfer. 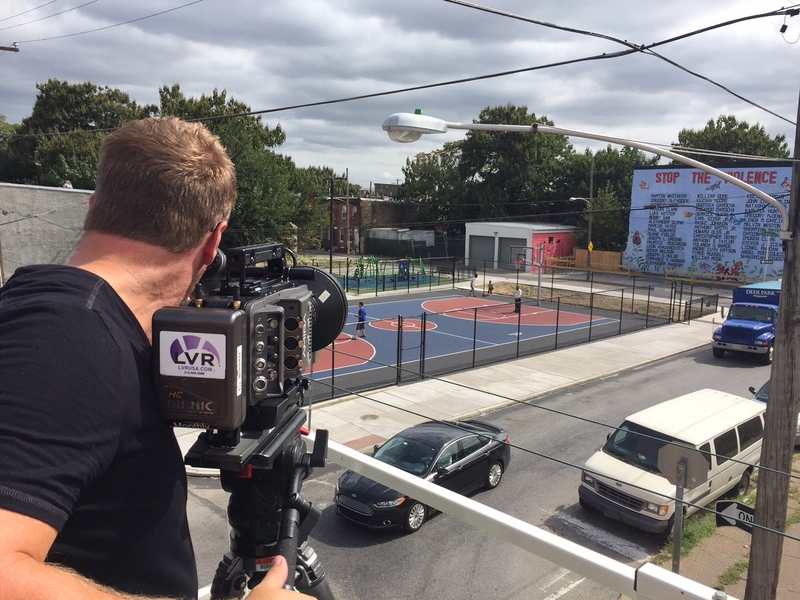 Cinematographer Phil Gushue capturing Ralph Brooks Park during renovation. 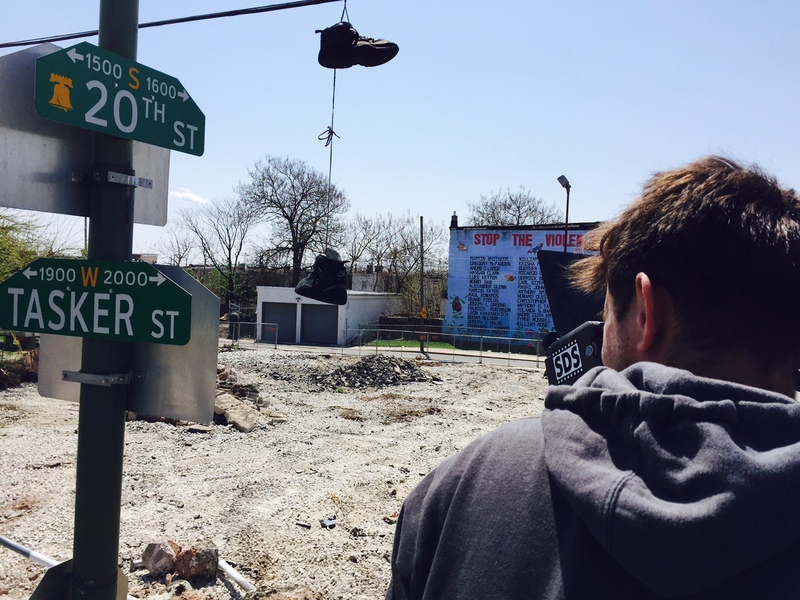 So how did they capture Barwin riding his bike through the streets of Philadelphia? 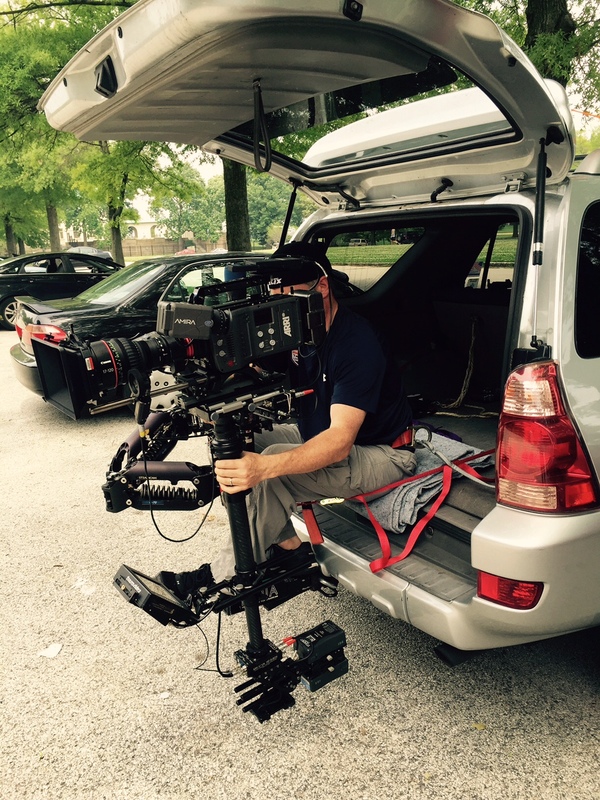 For starters, a Steadicam mounted out the back of an NFL Films minivan. 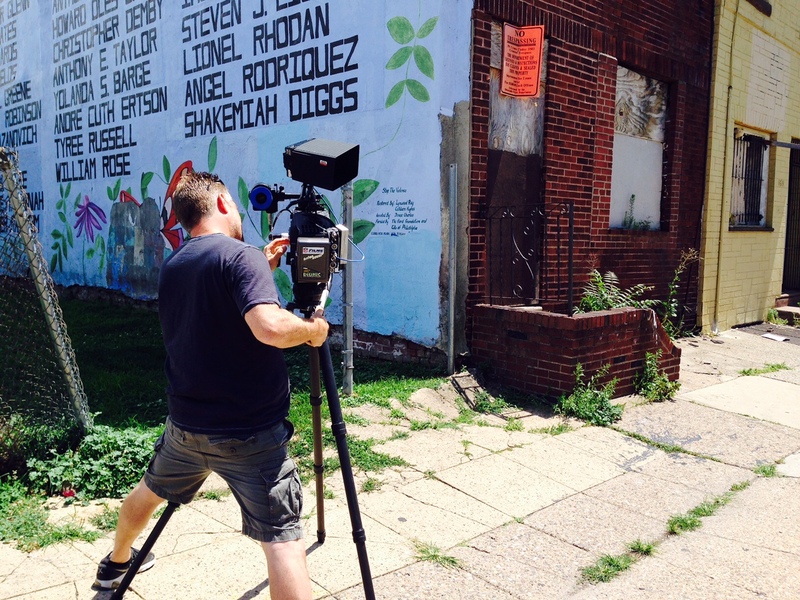 Cinematographer Dave Malek capturing the “Stop the Violence” mural that has inspired the Point Breeze community for years. 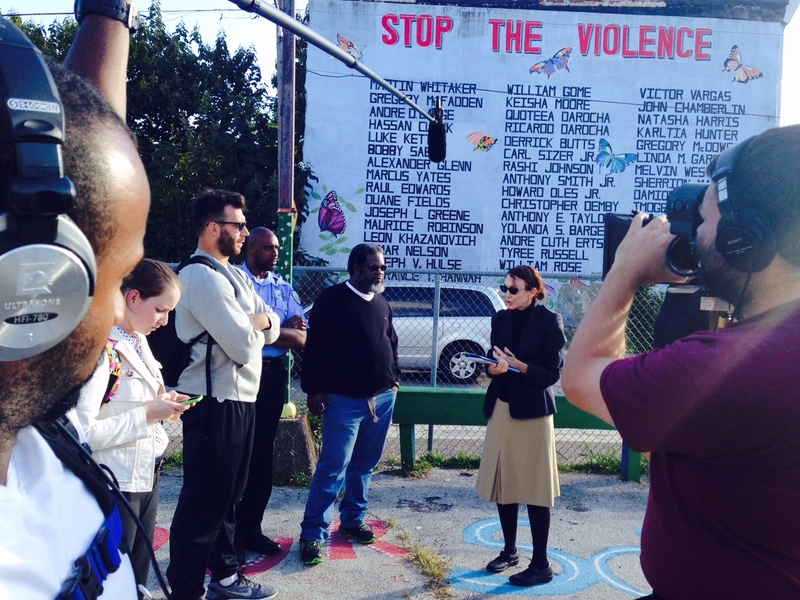 Barwin discusses mural possibilities with Jane Golden, executive director of Philadelphia’s Mural Arts Program. 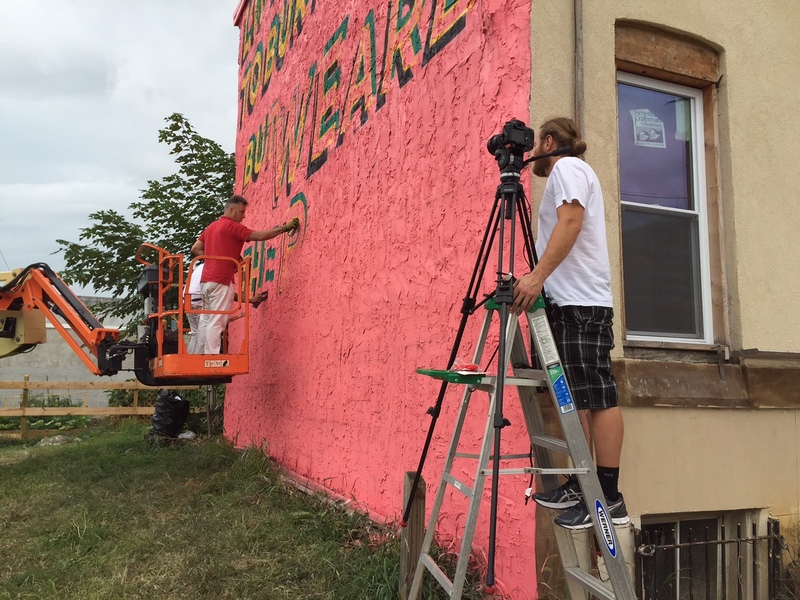 Mural artist Steve Powers (red shirt), nears completion on one of the new mural installments. 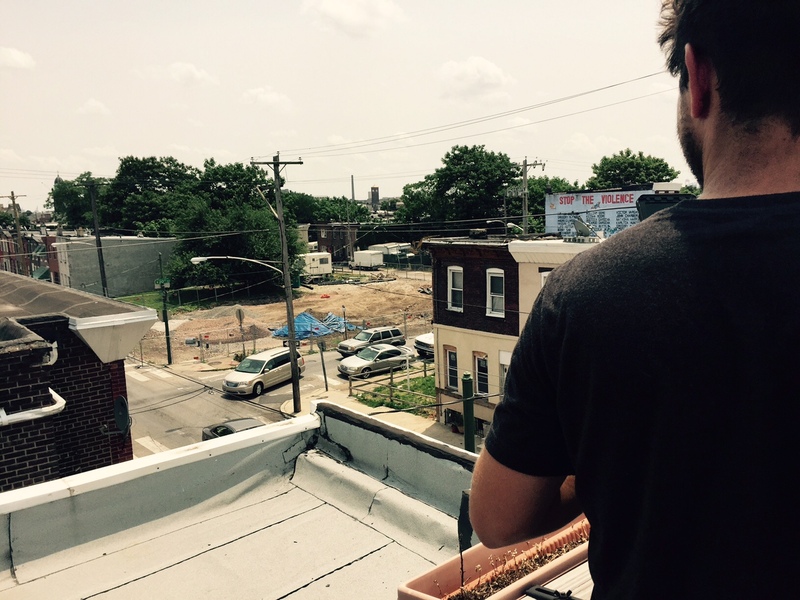 NFL Films Steve Richer rigging timelapse camera to capture Ralph Brooks Park construction. 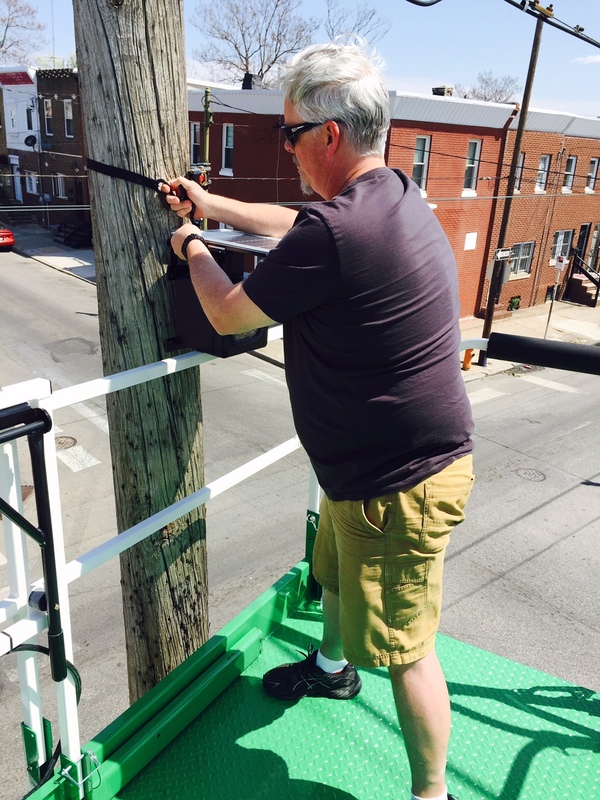 Cinematographer Kevin Simkins capturing Ralph Brooks Park near the end of its one year reconstruction.